Bruce DeSilva’s crime fiction has won the Edgar and Macavity Awards; has been listed as a finalist for the Shamus, Anthony, and Barry Awards; and has been published in ten foreign languages from French to Chinese. His short stories have appeared in several anthologies including Akashic Press’s award-winning urban noir series. He has reviewed crime fiction for The New York Times Sunday Book Review, Publishers Weekly, and The Strand Magazine. He currently reviews for The New York Journal of Books and for The Associated Press, which distributes them to hundreds of print and online publications. Previously, he was a journalist for forty years, most recently as the leader of a team of Associated Press national writers and as writing coach world-wide for the AP. Earlier in his career, he worked as an associate editor and national writer at The Hartford Courant and as an investigative reporter at The Providence Journal. Stories edited by DeSilva have won nearly every major journalism prize including the Polk Award (twice), the Livingston (twice), the Robert F. Kennedy, the Ernie Pyle and the Batten Medal. He edited two Pulitzer finalists and helped edit a Pulitzer winner. DeSilva has worked as a consultant for more than fifty news organizations, taught at the University of Michigan and the Columbia University Graduate School of Journalism, and lectured at Harvard University’s Nieman Foundation. 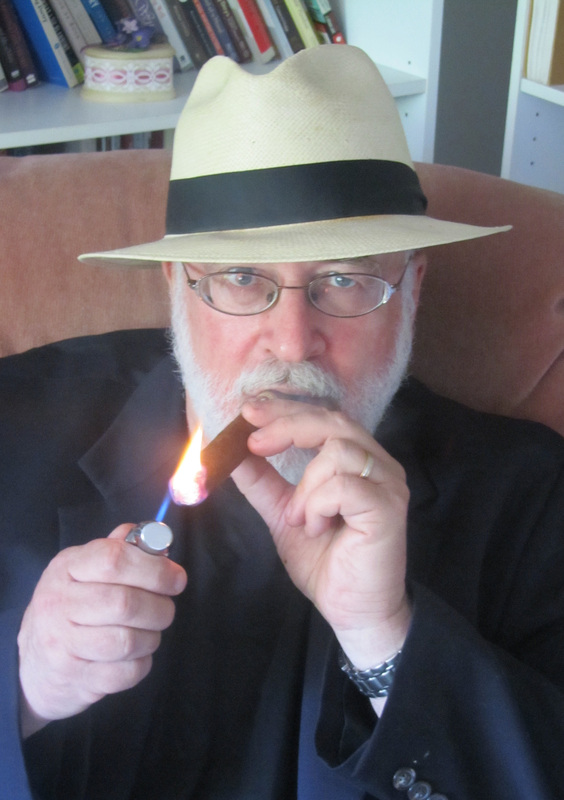 He has been a sought-after speaker at professional gatherings including the National Writers Workshops, the Abroad Writers’ Conference, Bouchercon, and Thrillerfest. He and his wife, the award-winning poet Patricia Smith, live in New Jersey with an enormous Bernese Mountain Dog named Brady and a big loveable mutt named Rondo. I realled love Rogue Island. I can not wait for the sequel. I will putting a review of rogue island on our portal http://www.midcitiesonline.com. Thanks so much for the kind words and the review. I really appreciate it. Thanks, Cathy. The sequel will be published early next year, and I’m now writing the third book in the series. I finally finished Rogue Island… what a read! I’m a deputy sheriif in a Tennessee county, and between my patrol duties and side jobs, there is precious little time for reading. Your story held my interest for the entire time, and several times made me laugh out loud at Mulligan’s quick, irreverent wit. I thoroughly enjoyed the richness of your storytelling and look forward to the sequel. Congratulations on your well deserved success! Just finished Rogue Island and am now reading Providence Rag. Keep up the good work. Love your style. Hi, Mark. Fact is, I haven’t written anything since the last book came out, choosing instead to devote a couple of years supporting my wife in her career, which is really taken off. It’s her time now, but I will probably start a new book later this year. Thanks for asking. I just finished reading The Dread Line and I loved it even more than the previous Mulligan books! As an animal lover, some parts were hard for me to read, but other parts were laugh-out-loud funny, so it all balanced out. I cannot wait to read what Mulligan gets into next! Thanks so much, Teresa. As for the next Mulligan, it will be a while. I’m busy editing a popular science book about how, when, and why humans evolved to stand upright, each chapter sent to me as the author finishes it. It is being written by my son Jeremy, who is one of the foremost experts in the field. And so far, it’s darned good. I HAVE just started work on a new novel, but it’s not part of the series. It introduces a new character named Dante, a young man born into a criminal family who is trying to figure out what side of the law he wants to live on. I very much appreciate that you took the time to send me your thoughts.